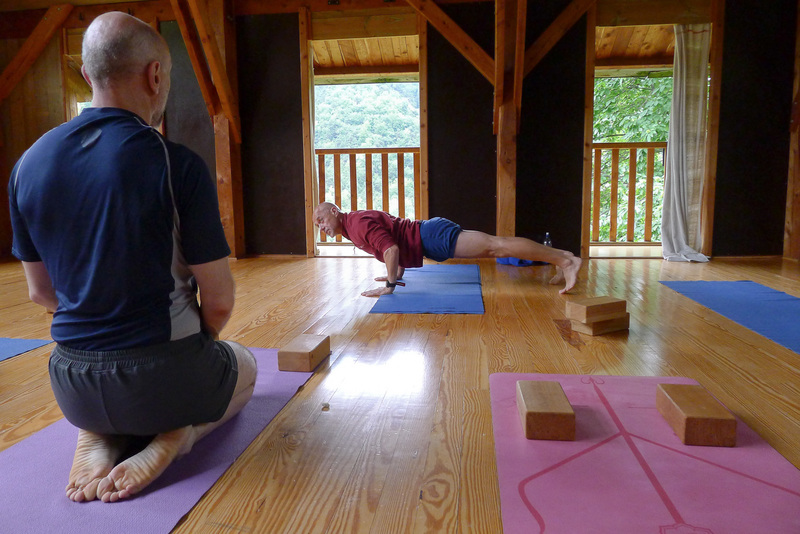 Alaric has been practicing Iyengar yoga since 1983 and teaching Iyengar yoga since 1991. 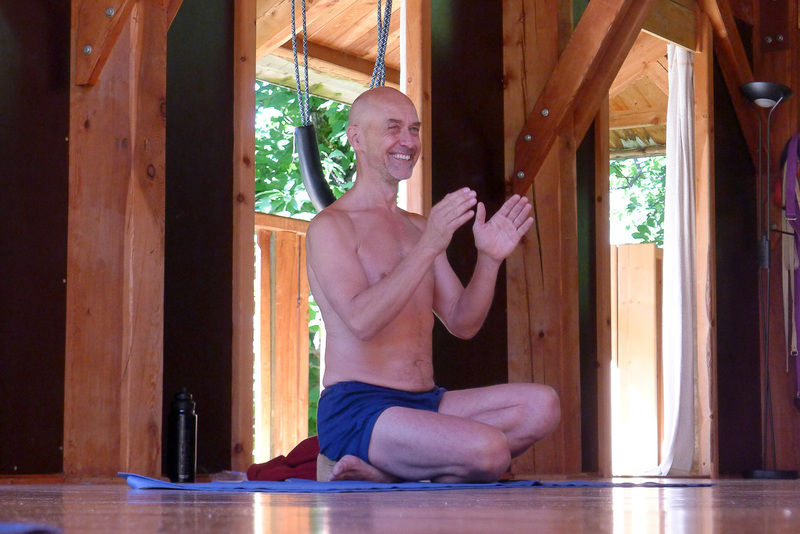 He is certificated by the Iyengar Yoga Association (UK) as a Senior Intermediate III Iyengar Yoga teacher. This is the highest level of qualification awarded by the Iyengar Yoga Association (UK). He has been inspired by the direct teaching of BKS Iyengar, his son Prashant, his daughter Geeta as well as senior pupils of Guruji in Britain and Europe. 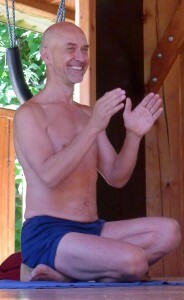 Alaric has a dynamic and flowing teaching style which is focused and insightful. His experience enables him to give precise individual adjustments and maintain concentrated group focus. He challenges inertia and ignorance with sharpness, compassion and humour. And he is pleased to know that he has a lot more to learn. Alaric has a BA in Philosophy and studied Linguistics at Masters level and holds post-graduate qualifications in counseling. Through the 1990s Alaric trained extensively as a psychotherapist and group facilitator and maintains a small professional practice. He has recently completed a MSc in Positive Psychology at the University of East London. Please email Alaric at alaricnewcombe (@) gmail.com.